Our plan to record a 90 minute podcast fails by an extra hour but our listeners benefit from another show nearing 3 hours in length! We cover the gambit from Ghostcrawler’s flying mount controversy to some significant changes coming to PvP with the 5.2 patch. Additionally we dig down deep with discussions and reasoning for breaking down the walls that divide PvE and PvP, have a brand new Food for the Gods and go four better with an MMO 10 pack! All this plus your feedback with includes a grammar lesson and a plea to add more blue sky to our show. 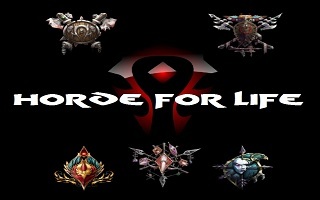 This entry was posted on January 22, 2013 at 3:03 am and is filed under General, HFL, MMO, Podcast, PvP, Raiding, Role Playing, World of Warcraft with tags alliance, Blizzard, Games, Guild, Horde, mists of pandaria, MMO, Podcast, PVP, Raiding, Role Playing, RPG, Warcraft Cataclysm Raids, World of Warcraft, WoW. You can follow any responses to this entry through the RSS 2.0 feed. You can leave a response, or trackback from your own site. Love you guys, great personalities, great content, awesome information (even if you play horde)… but a 3 minute intro every episode? A little excessive dudes!